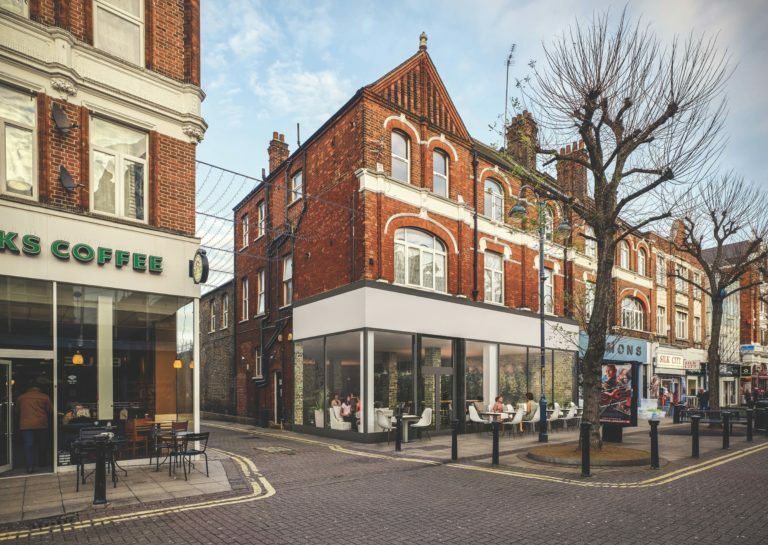 DMP have today secured granted Planning Permission from the Royal Borough of Greenwich for combining two ground floor retail units and 'Change of Use' from A1 to A3/A5. The proposal also includes installation of a new shop front and enlargement of one one-bedroom flat at first floor level and a change of access to the residential units on the first and second floors. Planning permission was previously granted for conversion of the upper parts to provide five one-bedroom flats. The scheme shall provide approximately 4,000 sq.ft retail space and 3,000 sq.ft residential accommodation.